Tickets for our productions are usually made available one month before the show opens. 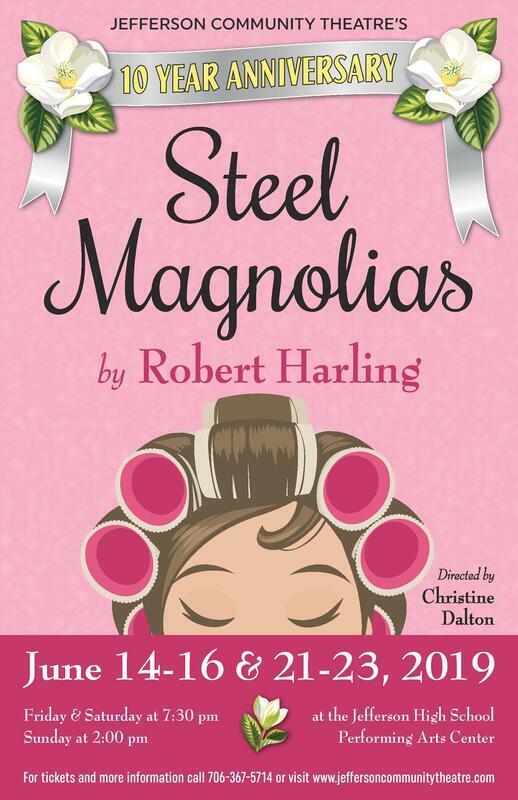 You can purchase your tickets online here, or at the box office on the day of the show (not applicable for dinner/dessert theatre productions). Doors open approximately a half hour before show time. All of our online ticket sales are handled through PayPal and must be paid with a credit card (processing fees are applied). Tickets purchased online will be available for pick up at the will-call table on the day of the show. THERE ARE CURRENTLY NO TICKETS AVAILABLE FOR PURCHASE. Tickets for our next production will be made available soon. All performances are held at the Jefferson High School PAC. Thank you for supporting Jefferson Community Theatre.